With over 40 years of experience operating in the diamond market and Australian jewellery industry, Kush Diamonds have built a reputation with their customers as one of the best jewellers in Melbourne when it comes to luxurious handcrafted jewellery at affordable prices. Located on Little Collins Street in Melbourne CBD, Kush Diamonds provide a personalised and professional service in the comfort of their private showroom. Their engagement rings feature the highest quality of GIA (Gemmological Institute of America) certified diamonds and because they sell direct from the manufacturer to the customer, they are able to sell their diamonds at wholesale prices. Every diamond purchased is attached with a certificate of authenticity for proof of quality. Browse through their extensive collection of exquisitely handcrafted jewellery in their private showroom.Choosing an engagement ring can be stressful, which is why their knowledgeable and friendly staff will guide you through the process from beginning to end.Any technical lingo is translated into easy to understand terminology so you are always in control. Their team will work hard to ensure that your experience stress-free so you can relax and enjoy choosing the perfect ring for your loved one. Want to really sweep your partner off their feet? Then Kush Diamonds also offer custom-made engagement rings, allowing you to choose the design, metals, patterns, detail choices and of course, the diamond. Because their diamonds are sold at wholesale prices, designing a custom-made engagement ring is more affordable than you might realise. When the time comes to get down on one knee, make sure your partner sees the ring of their dreams. For the best jewellers in Melbourne, speak to the friendly team at Kush Diamonds. 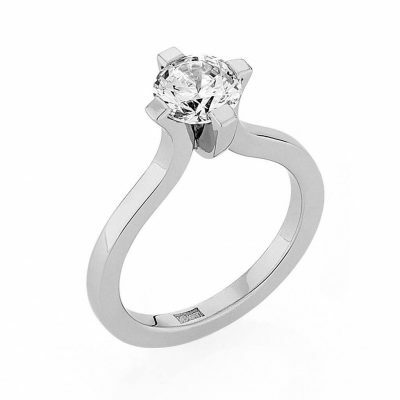 Contact Kush Diamonds on (03) 9602 3337 or visit their website to make an online enquiry via the Contact Us form.